We believe the fresher the better and the more enjoyable. 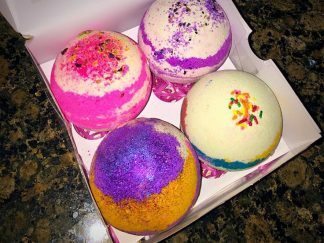 There’s nothing better than taking a relaxing bath with homemade, all-natural, scented bath bombs. Choose from a variety of fragrances, colors, botanicals and we will pretty up the rest. 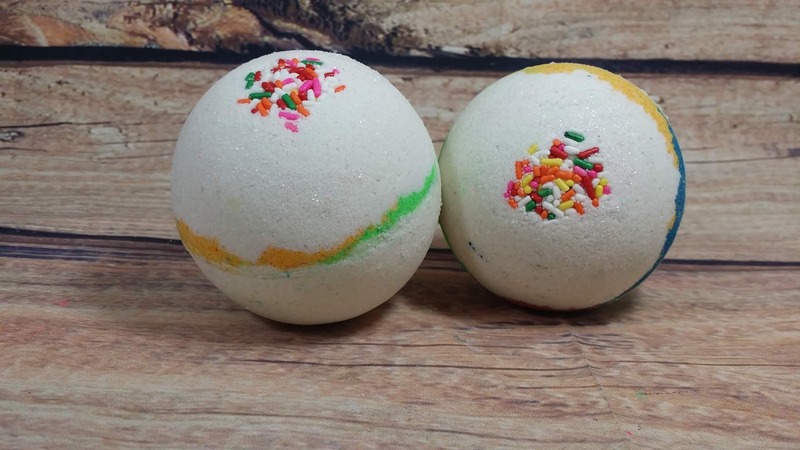 These bath bombs are approximately 10 ounces each; quite a nice size. Our recipe contain no harsh chemicals. 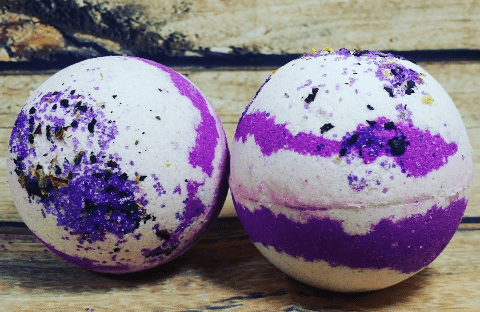 Combine the nourishing effects of a soothing bath with the wonderful aromas of a bath bomb creates an enjoyable experience. Most of all using bath bombs that have been made without harsh chemicals have great skin and mood enhancing benefits. More relevant they are mainly made up of citric acid and baking soda along with fragrances and other additives such as kaolin clay, salts and oils. Citric acid is a wonderful product for treating several skin problems like mild acne, pigmentation, clogged pores, sun tanning, wrinkles, and dark spots. Its an antioxidant that reduces the effects of aging and loose skin. Also it helps repair the skin; fortify blood vessels. Additionally it can loosen the damaged layers of skin and this results in the healthier, younger looking skin underneath the spoiled skin coming to the top and giving you fairer skin giving and effervescent complexion. Baking soda cleanses and smooths the skin. Epsom salt relieves aching joints and sore muscles. Consider all of these benefits with essential oils which have health and healing benefits for an even more bath experience. Oils help to preserve and moisturize the skin because it contain fatty acids that restore the natural balance of the skin and oil helps to purify and cleanse your skin. As a result oils help to remove blemishes. Since some oils are more moisturizing than others, it is probably important to choose the right ones. Hence using heavier oils I believe is rather important. Due to this oils are a must in any recipe. Therefore seems like we should use this on a daily basis. Most noteworthy you should give ours a try today. 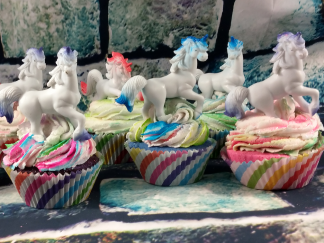 As a result we are sure that you will love them!! !